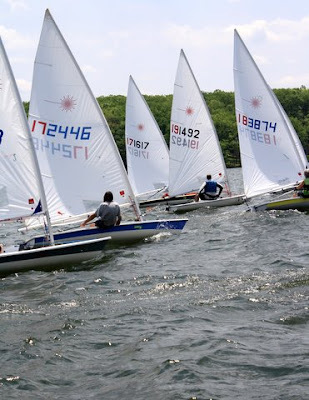 Deep Creek Lake offers an active racing program for Laser sailors in both Full/Radial rig for adults, as well as a Junior fleet for sailors under 19 who prefer Radial/4.7 rig. Racing can be found at the southern end of the lake near the Deep Creek Yacht Club (Deerhaven) and the Deep Creek Lake Sailing Assn (dba Deep Creek Yacht Club at Turkey Neck). Race affiliation is through the Deep Creek Yacht Racing Association (DCYRA). What's the Best About Our Venue? Deep Creek Lake offers fresh water sailing in the mountains of Western Maryland. A beautiful green backdrop frames the cool waters of the lake and provides a refreshing experience for all sailors.